The academic at the center of the Facebook data-misuse scandal apologized for his actions, but said he thought he did nothing wrong at the time. 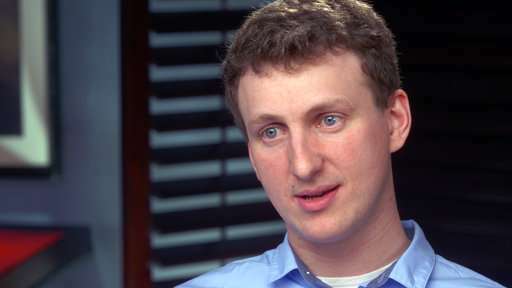 Cambridge University researcher Aleksandr Kogan made his comments during an interview with CBS's "60 Minutes" on Sunday. Facebook has been embroiled in scandal since revelations that data analytics firm Cambridge Analytica misused personal information from as many as 87 million Facebook accounts. Cambridge Analytica received the data from a Facebook personality-quiz app that Kogan created. That app collected data on both users and their Facebook friends. Kogan is due to testify before a U.K. parliamentary committee on Tuesday. The committee is investigating data analytics firm Cambridge Analytica's role in elections globally as well as the U.K.'s Brexit vote in 2016. Kogan also spoke with Buzzfeed . In the "60 Minutes" interview, Kogan said he thought the way his app mined data was on the up-and-up at the time. He says he's since changed his mind, saying he had been acting "quite naively" in assuming that users weren't too concerned about what apps did with their data. "I think that core idea that we had - that everybody knows and nobody cares - was fundamentally flawed," he said. "And so if that idea is wrong, then what we did was not right and was not wise. And for that, I'm sincerely sorry." He also pointed out that his former research partner, Joseph Chancellor, still works at Facebook. When asked if Chancellor was involved in Kogan's work for Cambridge Analytica, Kogan said he was. "We did everything together," he said. Cambridge Analytica said in a statement that it licensed data for only up to 30 million respondents in the U.S. from Kogan, adding that it found the personality type data from Kogan was "less effective" than standard demographic details. The company said it did not use Kogan's data in its political consulting work for Sen. Ted Cruz's 2016 presidential campaign or Donald Trump's winning presidential campaign. The company also said it deleted the raw data after Facebook requested it to. Ime Archibong, Facebook's vice president of product partnerships, said in a statement Kogan had a brief consulting contract with Facebook in 2015, but that the company wasn't aware of Kogan's activities with Cambridge Analytica until December 2015. "We quickly shut down his app, demanded he delete all the information (which he confirmed in a signed statement he had) and ended any research work with him," Archibong said. "In hindsight, we should have followed up to confirm he had deleted the information, as well as notified the people impacted - both of which are now happening." The privacy scandal has Facebook in full damage-control mode. Executives have apologized repeatedly, the company refreshed its data and privacy policies in the U.S., and CEO Mark Zuckerberg spent 10 hours testifying before Congress earlier in April. Next month, the European Union will begin enforcing its new General Data Protection Regulation, which explicitly applies to any company that uses the data of EU residents, no matter where it is based. The EU rules require consent forms to be written in plain language anyone can understand, targeting the legalese buried in pages of terms and conditions that few users actually read before clicking "I Agree." The regulations also require companies to make it as easy for users to withdraw their consent as it is to give. Remember the media furor and the backlash and public shaming of Facebook after it was discovered that the Obama campaign used Facebook data in 2008 to identify and target key "influencers" to persuade people to vote for Barack Obama? Neither do I. When Democrats do it, it's brilliant campaign strategy. When Republicans do it, it's sinister subversion of the democratic electoral process. Notice any double-standards? Just pointing out the facts, ma'am.